The adopting the shoulder to position direct connection and form an organic whole axially of end cap in front of flywheel shell and generator of the diesel engine, and adopt the elastic coupling of the colume type by the rotation of the direct drive generator of the flywheel, its connection way is fixed together by the screw, make the two link into a steel body, have guaranteed the crankshaft of the diesel engine and concentricity of the generator armature in the specified range. Lease various diesel generator sets and use as supplying power and having market demand temporarily at home, but there is not department specializing in leasing the business so far, a lot of lease person can only depend on every interdepartmental support or look for the relation to get the temporary power. 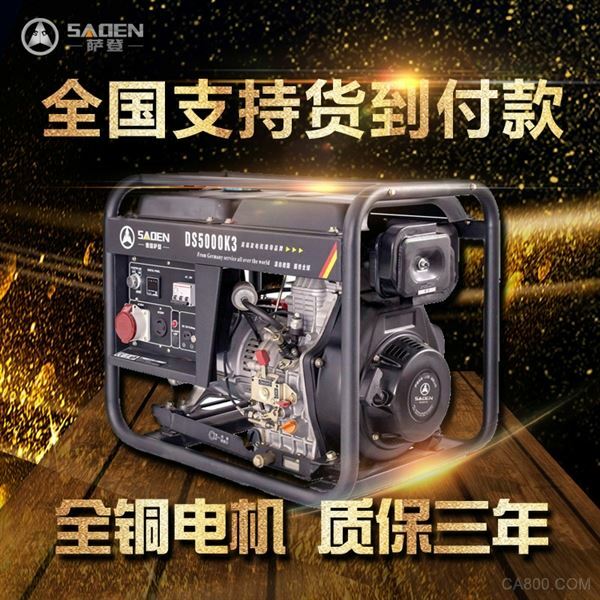 From the active electric market, help casual users use, increase its social economic benefits, expand the angle of the service field and look, it is advantageous that diesel oil power plant trade develops and leases the business. Control panel, chassis, coupling joint, heat sink, fuel tank,etc. make up. Some also install acoustic filters and dustcoats. Adopt and link the way directly among the axles of diesel engine and generator. Usually still equipped with the flywheel the basic shaft in order to increase the smoothness of running. The diesel generator set is generally assembled for the complete sets of aircrew and supplied by the manufacturer; Some is according to electrical load and characteristic, after confirming capacity and platform of the generator are counted, the reselection drives the diesel engine of the generator. The apparatuses of fuel system and start air system can be disposed alone by each one, also many all right units concentrate dispositions.